This is major. One of my favourite online stores, Olive+Piper, is hosting an amazing April giveaway to celebrate their refreshed website and all the new Spring goodies in store. 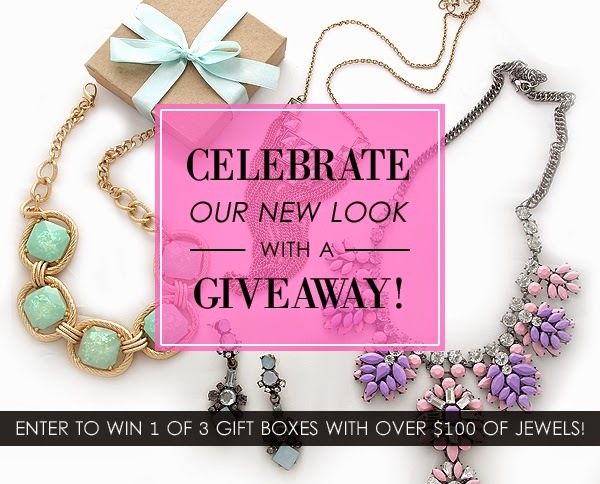 Three separate winners will win a box containing specially selected Olive+Piper jewelry valued at over $100! And just in case you're not convinced yet, here are a few of the things I would buy if I had $100 free to spend! I love love love these drop earrings! 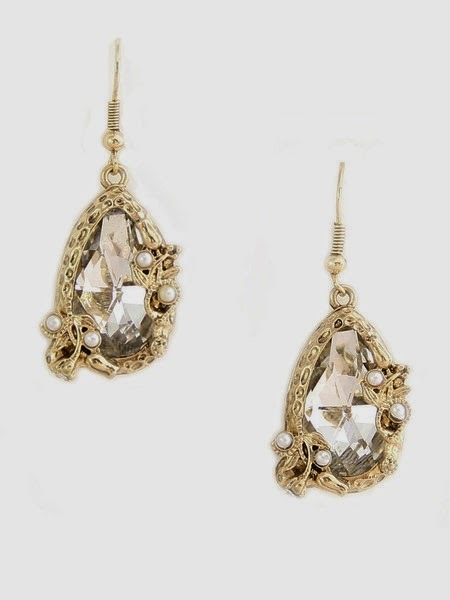 The gold, the clear crystal and the tiny pearl beads set in that vintage-esque setting all have me swooning. What's great about fancy earrings like these are that they actually don't look out of place with more casual items, like blazers, tees and jeans. You could even rock these with tailored sweats, a leather jacket and booties! 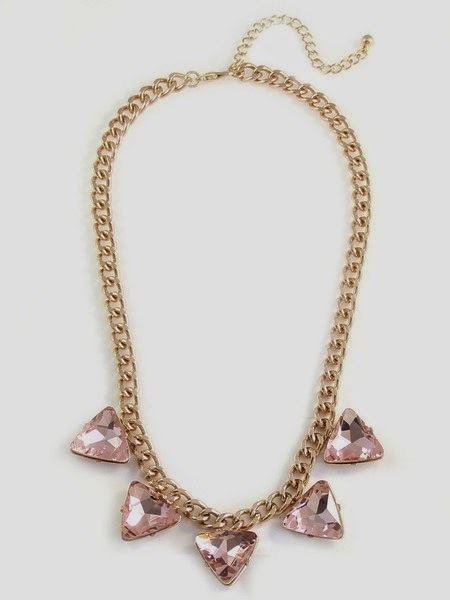 Say what you will about the tribal trend, but when it's done up in a thick gold chain and blush pink stones, it becomes utterly classy. Do it up with your best crew neck, LBD or white tea dress. 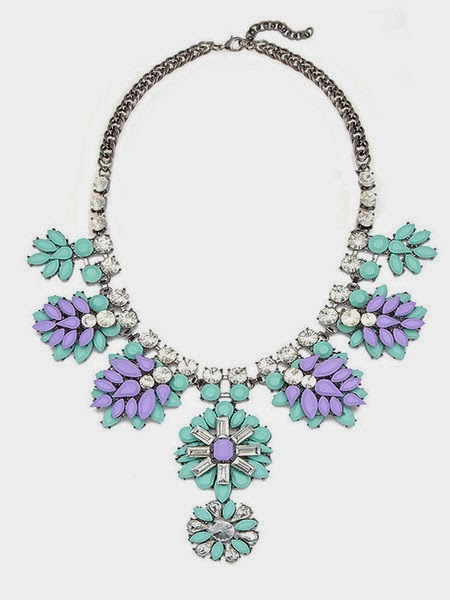 However, if subtle isn't your thing, then say it loud and proud with this mint and lavender bib necklace. This type of necklace has always mystified me; I love the look and drama of it, but still I hesitate actually trying any out. This one has me seriously tempted though. 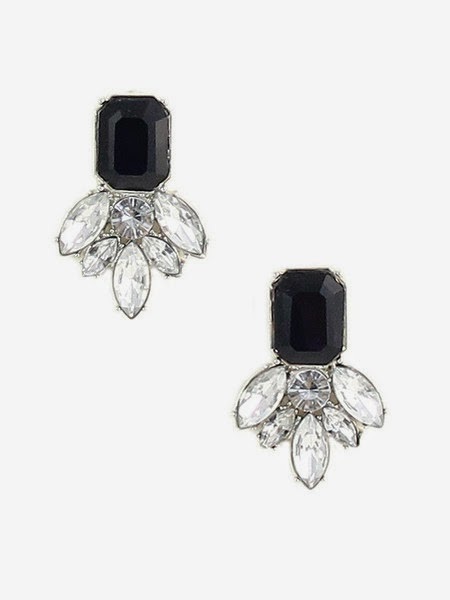 Last, but not least, are these onyx cluster earrings. You can never go wrong with black and white and I think these earrings are a great balance between elegance and edginess. Which piece is your favourite? Don't forget to enter now!